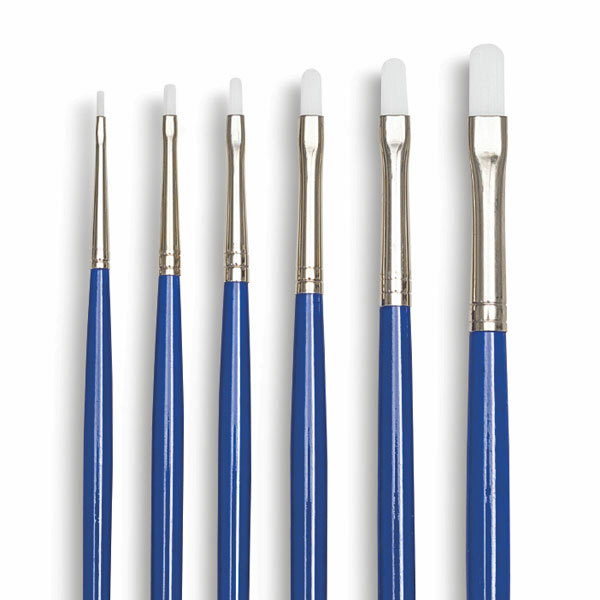 The selection of shapes and sizes available means there's a Wonder White brush for every media and application. The sharp point has good spring. 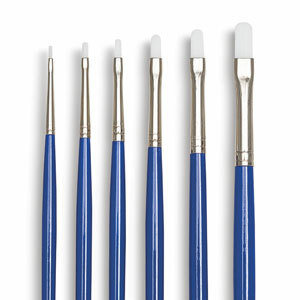 Long handles are finished in blue gloss with nickel-plated brass ferrules. Sets of 6 — These sets includes sizes 0, 1, 2, 4, 6, and 8. They are available in Bright, Filbert, Flat, and Round brush shapes.